In a different age and a different world, I’d probably know how to devoutly genuflect and kiss the ring of a monsignor. 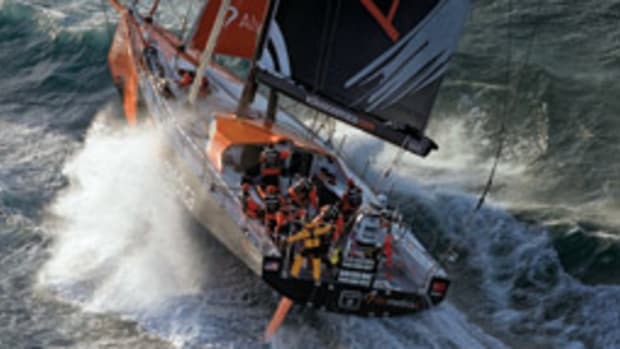 That’s what I feel like doing next time I see Puma skipper Kenny Read or any of the other sailors competing in the Volvo Ocean Race. Heroes, crazy, but also insanely brave. At the same time, I wonder what to make of a race that looks like a reality TV show for R&D in yacht design and construction. These boats — the third generation of Volvo Open 70s — are being disabled with broken masts and delaminating hulls. Crews are forced to abandon legs and load their boat onto a freighter to get to the next stop. Designers say it’s impossible to make a boat that wins and won’t break. That’s led to a lot of wreckage but no new records as of this writing, not to mention that only a handful of teams raised the required millions for a boat and millions more to keep the show on the road. Certainly, yacht designers get the spotlight whenever safety, reliability and performance enter the discussion because their ideas and handiwork shape the boats we sail. Their measure of success is client satisfaction, but to achieve that they have to strike a balance among vision, budget, measurement rules and a thing called reality. As luck would have it, I interviewed several of the profession’s rock stars about their landmark designs and the impact they’ve had on their work and the sport. From megayachts and record-breaking multihulls to maxi racers and the fast, but fragile, VO 70s, many of the discussed boats were at the leading — and bleeding — edge of technology. However, the question about how or whether innovations such as canting ballast, curved foils or wing sails will trickle down to the 99 percent was as intriguing as “geeking out.” Is innovation merely technical or also philosophical? Will and can this industry adapt to the socioeconomic change that has forced many participants to switch to more affordable, less time-consuming and equally fun activities? 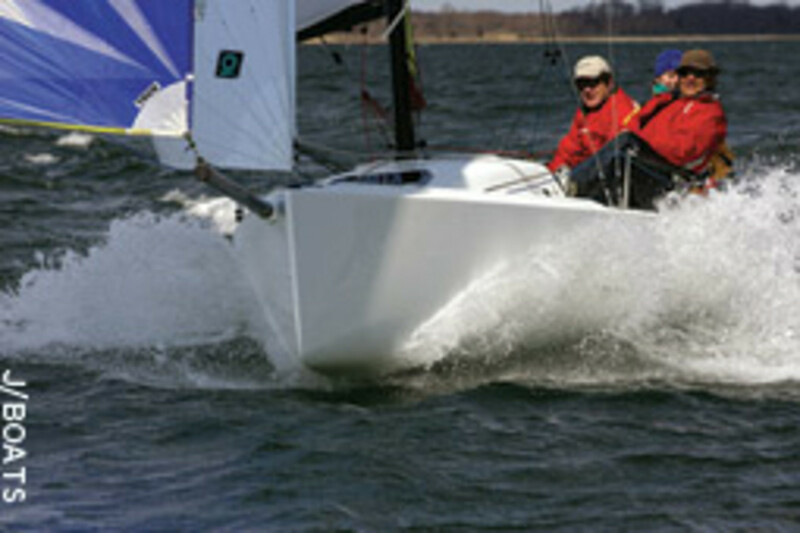 Jim Pugh, of Reichel/Pugh in San Diego, brought up the Melges 24 that his firm designed for Buddy Melges after their successful cooperation during the 1992 America’s Cup, when they worked for Bill Koch. 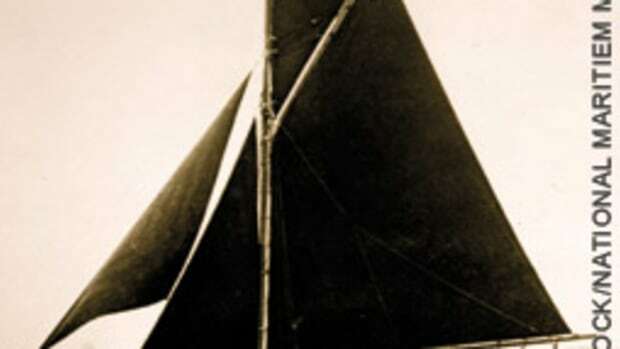 It ushered in the age of the sportboat, with a powerful sail plan with asymmetrical spinnaker and retractable bowsprit, a planing hull and enough excitement to challenge competent amateurs and professionals alike. But evolution is not always a top-down game. Sometimes you can be late to the party and still hope to make an impact. 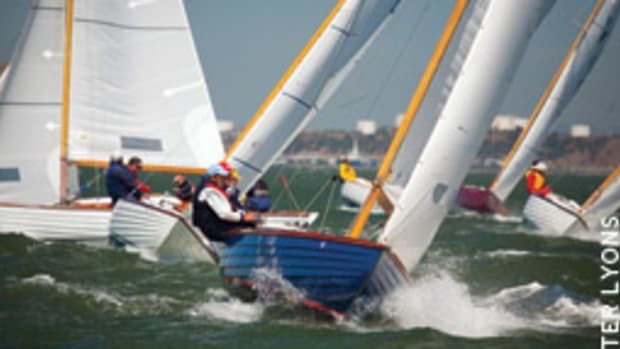 Contrary to extreme custom designs, such as the Volvo Open 70, that have a limited shelf life, successful one designs are like a good bottle of wine: They get better with age. Through the years such classes build a healthy stock of “preloved” merchandise that’s still competitive, but steeply discounted in price. The downside? Boats such as the J/24 or the Laser, which have been around unchanged for several decades, are getting long in the tooth because today’s vessels are lighter, faster and more fun. So when the time comes, how do you replace an iconic cash cow? Rolling out a new product, Rod says, is still a family affair in the Johnstone universe, where he does the “basics,” such as the hull, layout, keel and sail plan, before his son Alan takes over with the modeling and the plug. “If we disagree, there’s still one agreement: who has the last word.” The last word on the newest boat was that it ought to fill the shoes of the J/24, which are not exactly dainty slippers. The J/70 is a 23-foot sportboat with a simple sail plan, a large cockpit and a small cuddy where “women can do their business without a bunch of guys watching,” as Rod thoughtfully observes. It is the company’s first model with a lifting keel, a smaller and slightly more laid-back cousin of the Melges 24. Being able to launch the boat at the ramp, Johnstone hopes, will appeal to sailors who do not have easy access to a hoist or lake sailors who often travel to different venues. One of the declared goals of the J/70 is attracting younger sailors who’ve done their time in college on 420s or Flying Juniors and are ready to take the helm of a performance boat with a keel. But that’s not the end of it because, as Rod says, he did not want to offend his age group. “At 75, I’m no spring chicken,” he says. “Most people my age don’t sail anymore. 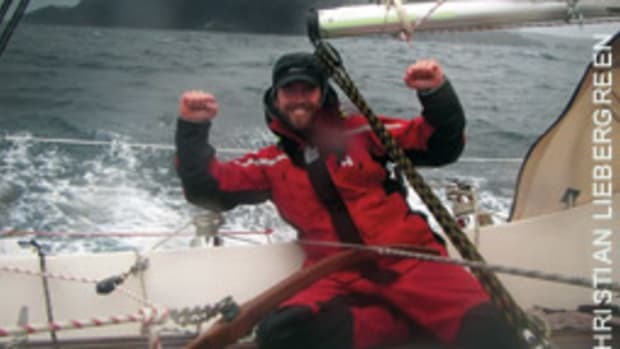 If I want to keep doing it, I have to design boats that are easy for me, too.” By that he means the platform has to be stable enough for inexperienced folks who are not used to tippy hulls or the baby boomers who might be a day or two past their prime, but still want to have fun. A return to more stability in a different sense is the reason for “reshoring” some of the production work — in other words, bringing the manufacturing back to the United States. Originally, the plan was to build the boat in China, where the molds were fabricated. But rising production costs, geopolitical reasons and the prospect of being able to build in its own backyard, Rod says, motivated the firm to return some of its production to the United States. 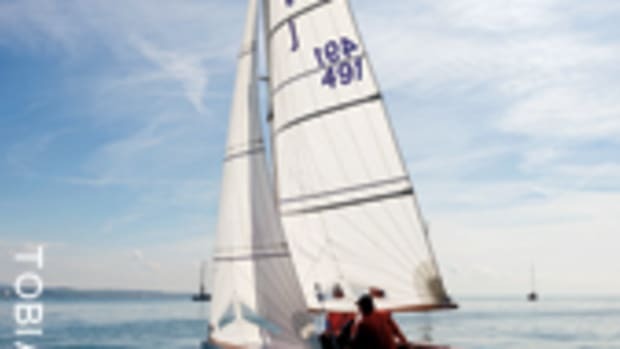 The J/70 is built by CCF Composites in Bristol, R.I., for the North American market and by JB Composites, a licensed French builder in Les Sables-d’Olonne, for the European market. So innovation in this aspect is returning to the firm’s Rhode Island roots. If the advertised virtues of the J/70 could be squished into an “ility” box, that box would have versatility, portability, stability and affordability printed on the label. But to become a success in the wake of the J/24 or other J/Boats classics — the J/22, J/80 or J/105 — the J/70 needs more than that. It has to nudge a sport that says it transforms individuals into transforming itself by paying more attention to the shifts taking place across society. Even before hull No. 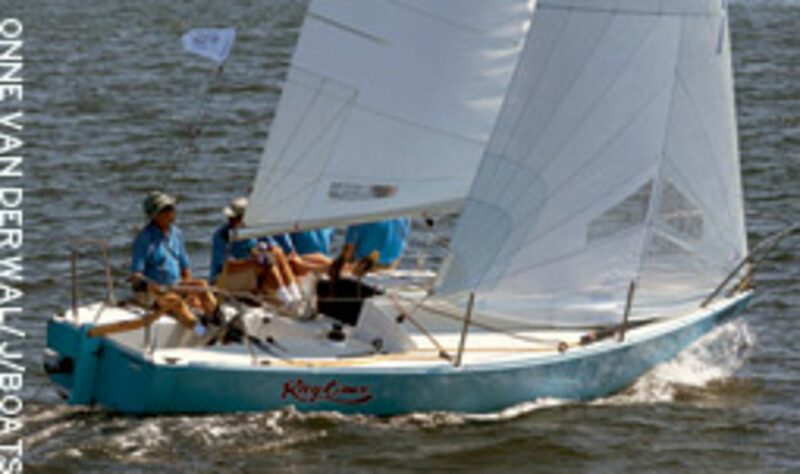 1 was launched, the New York Yacht Club announced that it will use the J/70 for the 2012 NYYC Invitational Cup U.S. 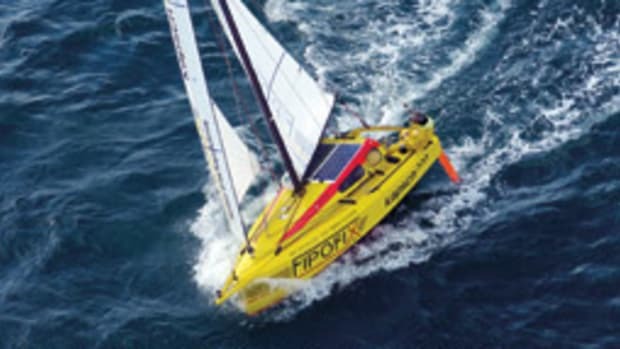 Qualifying Series to complement the Sonar, a traditional displacement boat. The Johnstones hope this example might entice others to upgrade their club fleets with J/70s. I think J/Boats has the right idea, preparing for a shift from individual to shared boat ownership with a trailerable sportboat that does not push extremes and seeks a balance among excitement, stability and ease of handling. 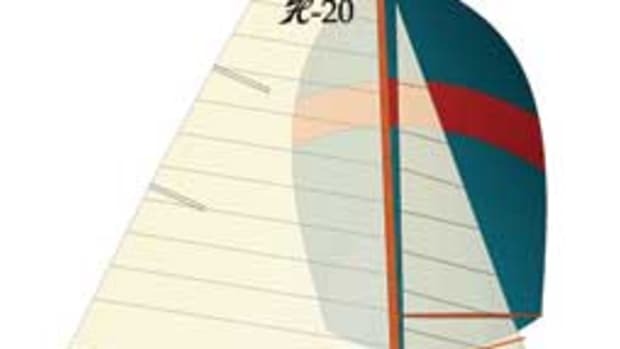 Whether the J/70 can live up to the lofty expectations is up to the market. But with a boat that’s made in the U.S.A. and offered for package deals at $45,000, including sails and trailer, the company shows it is serious about getting the class started and getting new people on board. 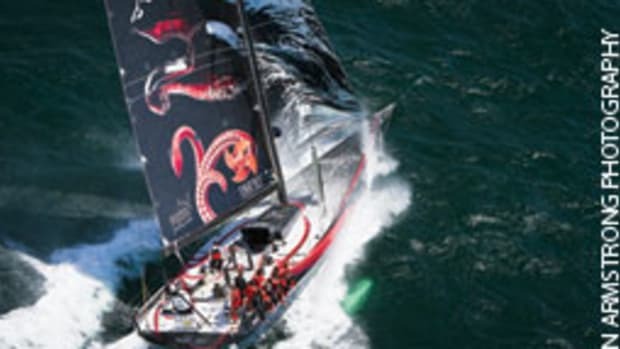 Don’t get me wrong — I’m still awed by the pros who ride and tame Volvo Open 70s or hang upside down like a bat on the outside of the hull somewhere in the Southern Ocean to drill 30 holes and screw together their delaminating ride. These people are brave, brilliant and more than a bit loco. Maybe they deserve a devout greeting. But to be honest, the J/70 looks more intriguing, designed by a guy who still knows how to have fun, despite getting on in years. Now that’s a promise for the future. And if I don’t have to buy one to sail one, I’m a step ahead of the game.